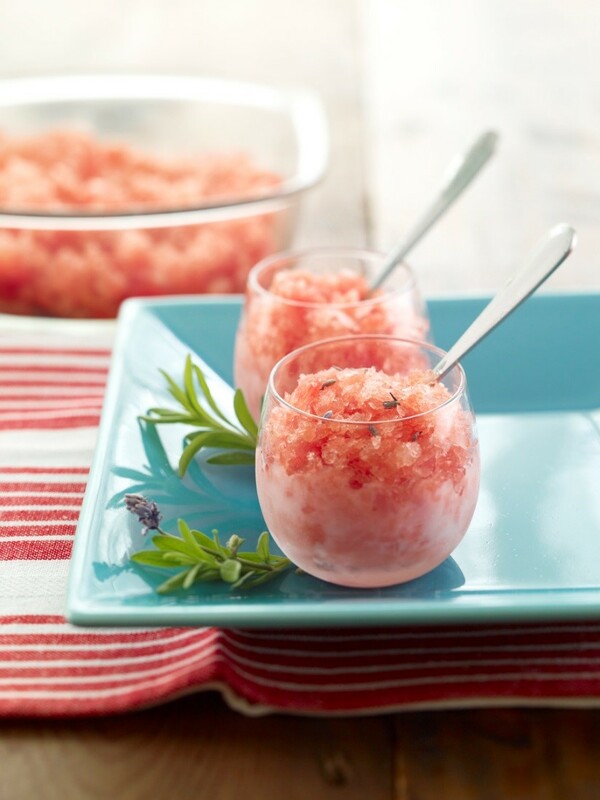 FEATURED RECIPE: WATERMELON LAVENDER SORBET - What About Watermelon? As far as hot months go, August feels like the hottest on the calendar. I’m looking out the window, and everything looks so green and inviting, but once you open the door, the heat hits you like a brick wall. I don’t like the cold, but I definitely don’t like the extreme heat that we’ve been having this year. Actually, that’s not totally true. I actually like the heat because I like to enjoy all the usual things when it’s hot, like swimming pools, ice cream, watermelon and sorbet. If you’re a sorbet fan, too, check out this recipe for Watermelon Lavender Sorbet. Also, be sure to leave a comment here on this post to tell us how you liked it! In a small saucepan over medium-high heat, add ½ cup watermelon pulp, sugar, lavender and salt. Bring to a slow boil, then simmer for 5 minutes. Remove from heat and cover for 10 minutes. Pour into container, cover, place in freezer. When semi-solid, mash up sorbet with fork and freeze again. When frozen, place sorbet mixture into a blender or food processor, and process until smooth. Scoop desired amount into a small bowl or parfait dish, garnish with a small wedge of watermelon and a lavender sprig.